Gender reveal parties have become the obnoxious new celebration among heteronormative couples–so it’s cool to see a loving mom do a transgender reveal party for her son in a series of Facebook posts that have gone viral over the past week. Adrian Brown, middle, with brother Lucas, left, and their mother, Heather Lundberg Green. via Facebook. Adrian Brown’s mom must be from Krypton. His supermom’s name is Heather Lundberg Green and she would do anything for her trans son. This supermom praised her transgender son’s coming out with “It’s a boy” photo shoot. Green was so extra for her son’s 20th birthday photo. Your son only comes out as transgender once, after all. 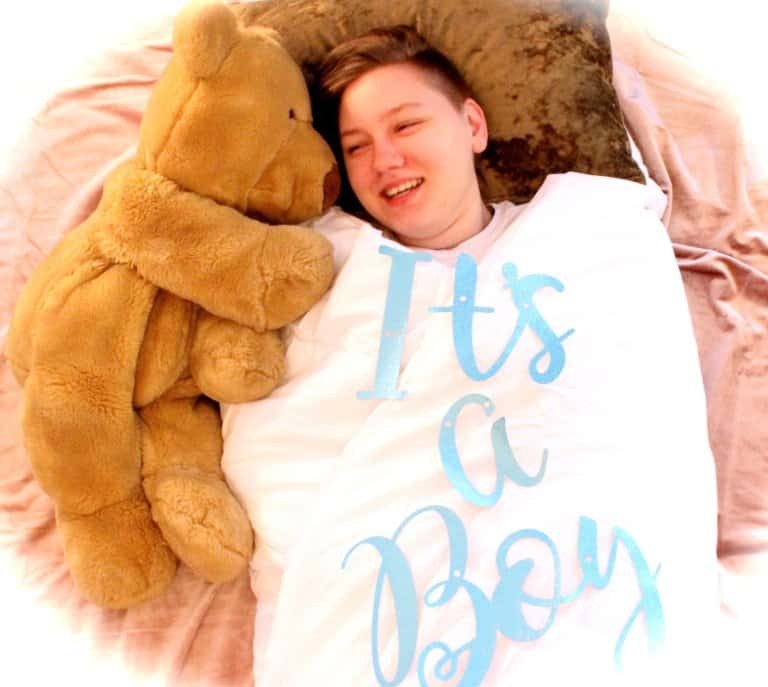 Green’s photo shoot – which was themed as a baby gender reveal with blue balloons, glitter, “It’s a boy” messaging and a faux pregnant tummy to show she was gaining another son – is the ultimate show of support a trans kid can get from a parent.